Phoebe Starbuck has always taken care of her father--worrying enough for both of them, as he chases one whim after another. Now, for the first time, she's doing what she wants to do: marrying Captain Phineas Foulger and sailing far away from Nantucket. As she leaves on her grand adventure, she takes two gifts from her father, but desires only one: her great-grandmother's journal. The second gift? A "minder" in the form of cooper Matthew Macy, a man she loathes. Sail away with expert navigator Suzanne Woods Fisher, who confidently explores the sometimes treacherous shores of Quaker life on the storied Nantucket Island. Phoebe's Light gave me a feeling of hope. Set in the sixteen and seventeen hundreds, the story goes back and forth between Phoebe and her great-grandmother. The stories have several parallels, which keeps the thread of the book running smoothly. 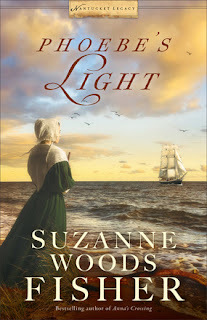 Suzanne Woods Fisher did her homework when preparing to write this adventurous story. The details from Suzanne's research jumped off the pages. 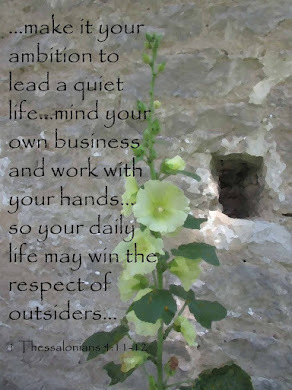 I enjoyed learning about the Quaker culture and the Puritan's reign in America. In the front of the book is a list of characters and a glossary. I thought I'd need to keep referring to the character list, but once I got into the story I had no trouble keeping the people straight. Most of the Quaker vocabulary is self-explanatory within the context of the story. Thee and thou are spoken by the characters, but the words flow with the text. Phoebe's Light was a refreshing read about courage, honesty, redemption, and love. I highly recommend Phoebe's story.